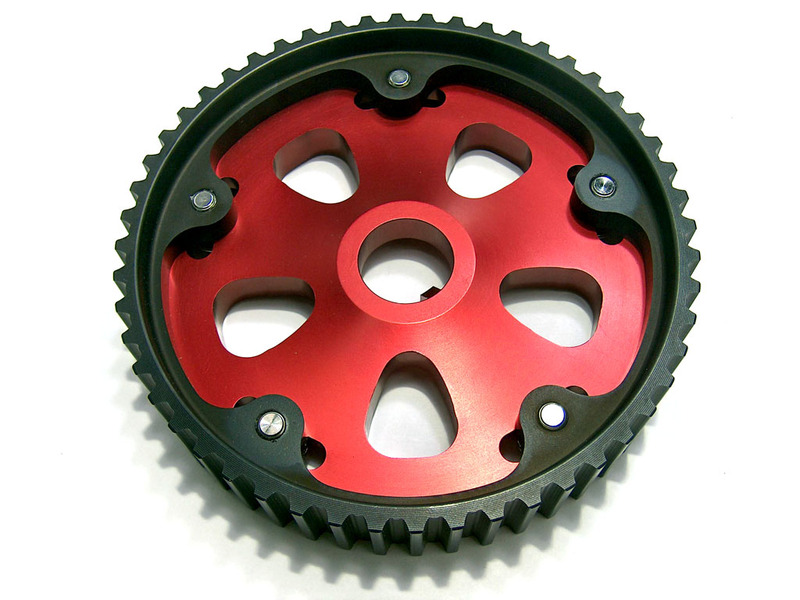 Adjustable timing gear for AEB & AGU-code 4 cylinder 20V engines (058 family). 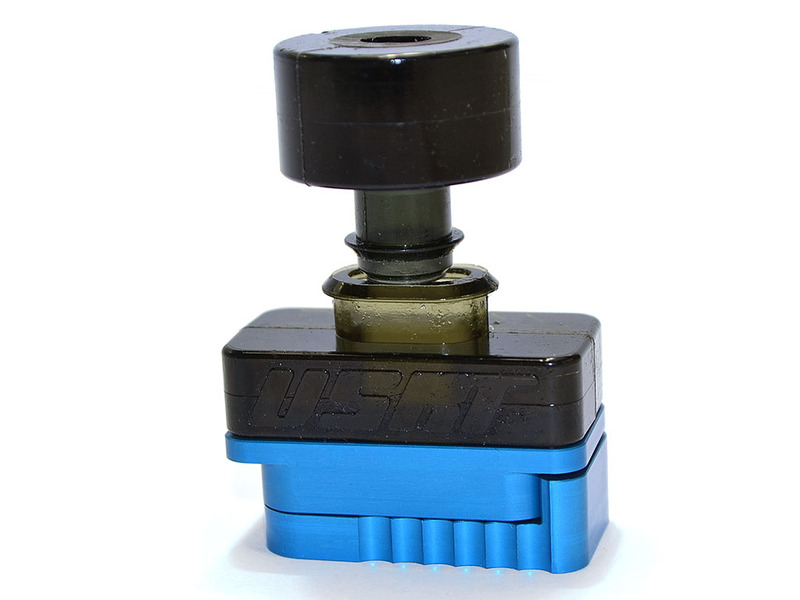 Fits 97-99.5 Passat (AEB), 97-99.5 Audi A4 (AEB), early, plus early European Golfs/Jettas (AGU). 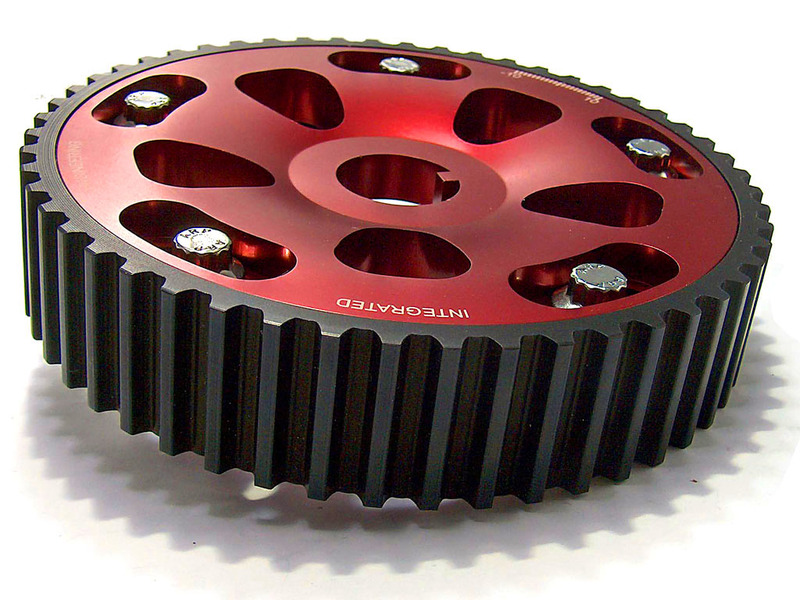 Adjustable cam gears are valuable because they allow adjustments to the power band without actually changing the camshafts. 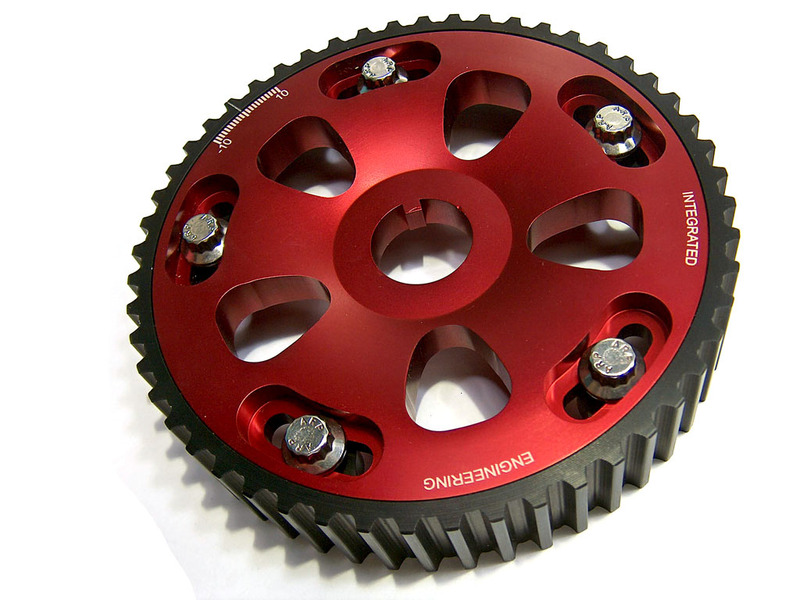 By retarding or advancing cam timing, a peaky high-rpm engine can be tuned to deliver torque earlier in the rev range. 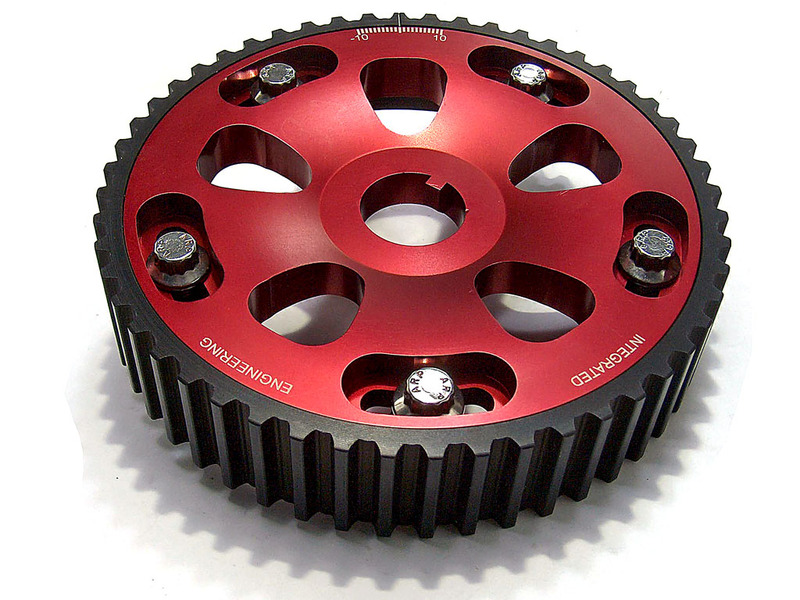 A stock or moderate performance cam pair can be set to deliver more “rip” up top. This flexibility delivers the experienced user an outstanding performance edge. 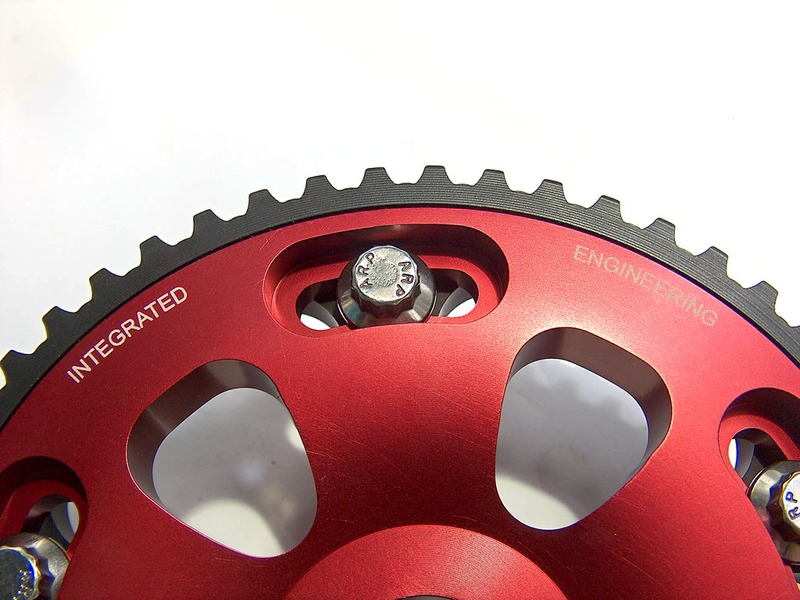 Each center section is precision CNC machined from solid 6061 aluminum and features a true one-piece male keyway for an exact OE fit. 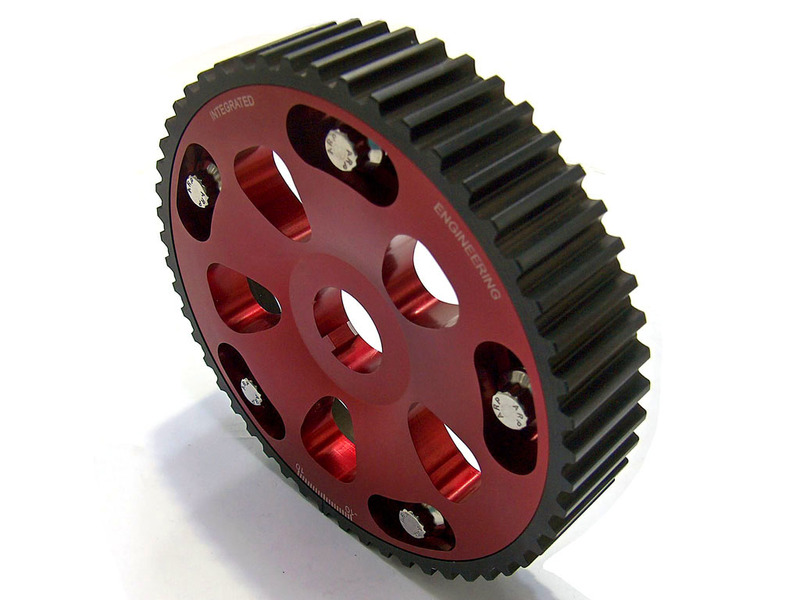 The outer ring gear is machined to OE specifications for a perfect mesh with the timing belt and then hard anodized for wear resistance. 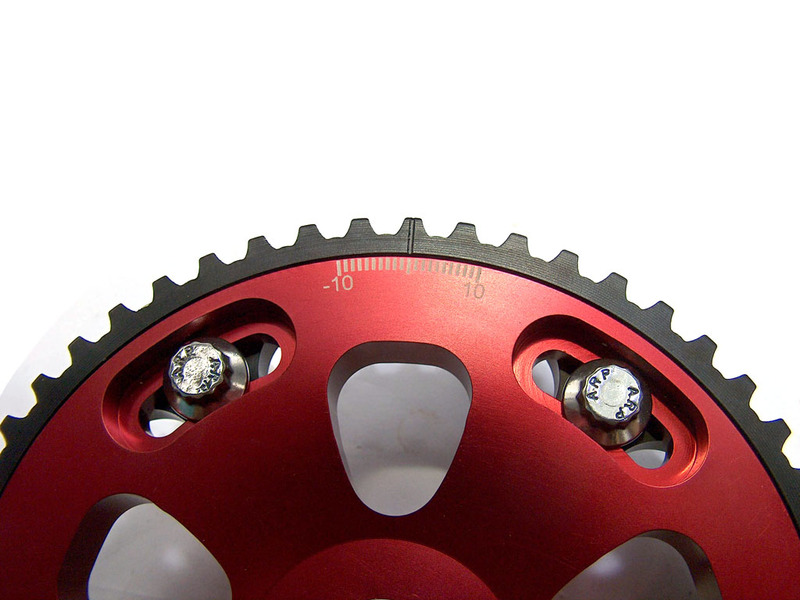 The threads are roll form tapped to create the toughest threads available and then stuffed with high quality stainless ARP bolts that lock it all together. Finally, timing marks are laser etched ensuring that exact cam timing is known. 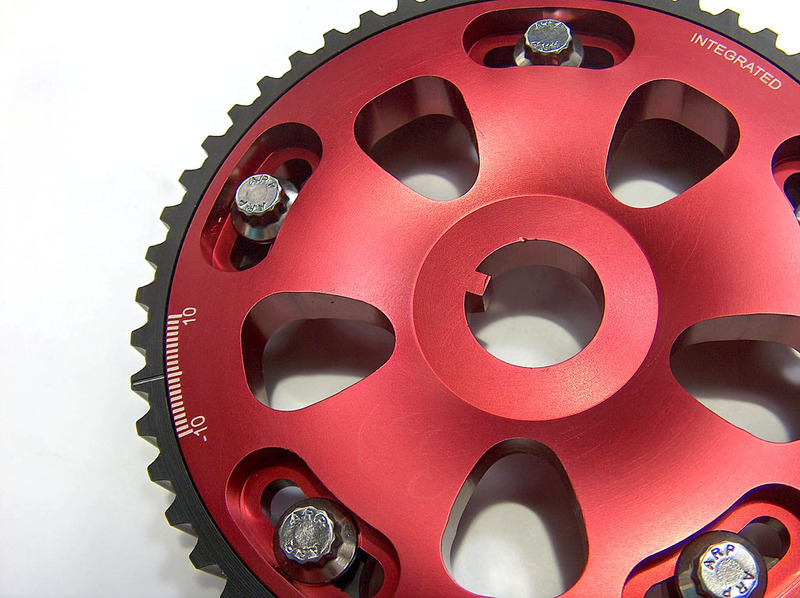 These gears work as well as they are gorgeous to the eye. The benefits don’t stop there. 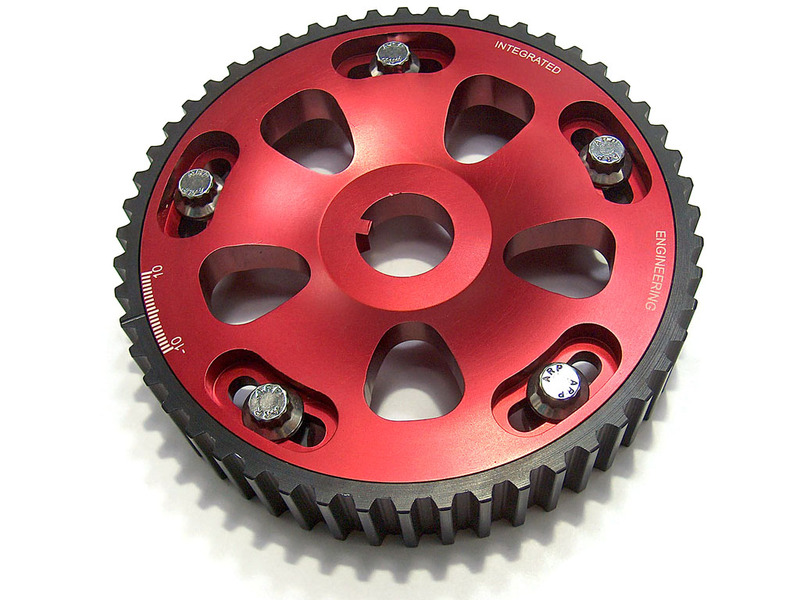 ARP cam gear bolt and an EKagrip friction disk are supplied to keep the timing components in place under high load/high RPM use. This is even more important when running larger cams and stiffer valve springs. 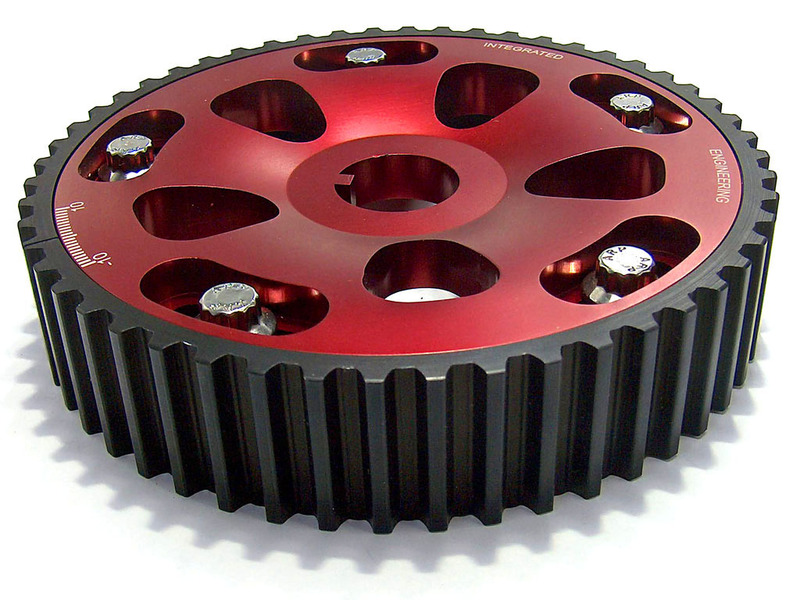 Inferior quality gears are likely to fail under high RPM use and can lead to catastrophic engine damage. 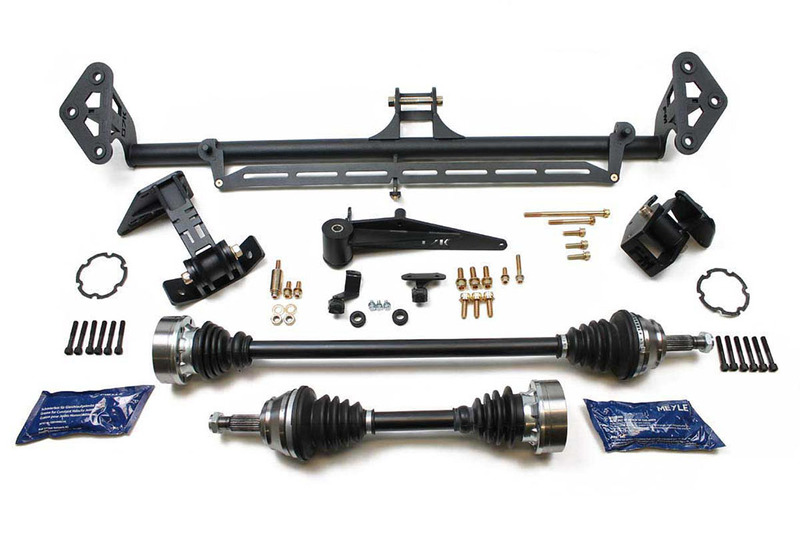 Installation is simple and all needed parts are included. Purchase together and save!